Liberty Landscape Supply has 2 locations near Jacksonville that stock our products AND (in answer to many requests we have received) Rooster Home and Hardware and Chisholm Country Store in the Dallas area began stocking our product this past week. Stop by these stores and ask for PureGro today! 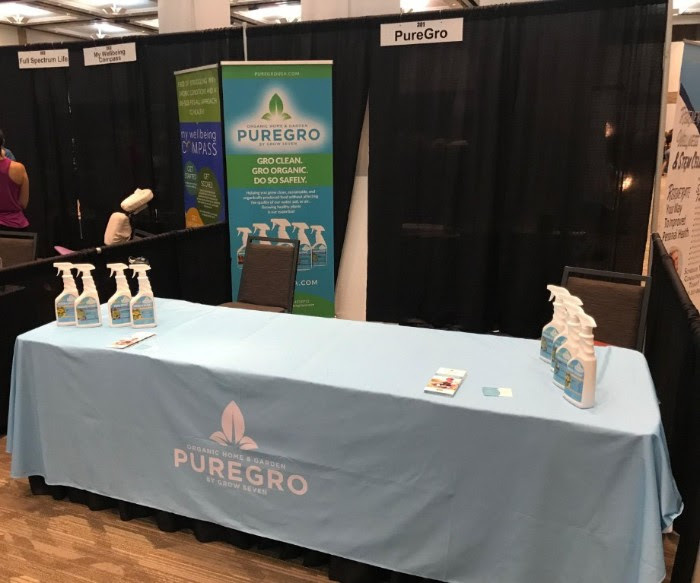 Photo of PureGro's booth 301 at Health, Home, and Garden's Natural Health Fest, before the event started. In recent news, we are proud to have received the recommendation from Howard Garrett, the "Dirt Doctor". 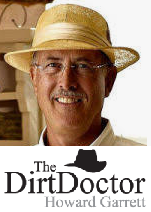 The "Dirt Doctor" is seeing great results from our fungicides, herbicides, and insecticides and has been discussing them on his podcasts and website. Last month, we joined the "Dirt Doctor" at the Health, Home, and Garden's Natural Health Fest Expo, that took place in the Plano Event Center in Plano, Texas, on Saturday, September 15, 2018. The event was a hit! Approximately 2,800 people came in to listen to the guest speakers and visit the booths. Everyone loved learning about the benefits and results of our products. We sold out of Bug Stop™ and Weed Crush™, and only had one bottle of Disease Stop™ to show people at the end of the Expo. The product that snatched the spotlight was Weed Crush™, our organic herbicide for weed and grass control. The HHG Expo event was great! We met and mingled with some of our followers and many new customers. We look forward to meeting more of our customers and followers. Follow our social media platforms for our upcoming events. If you have any questions about the products, please contact us here. Also, if you are interested in seeing our products in your local garden or hardware store, please ask the store to contact us or let us know so we can contact them directly. Remember to Love your growth.